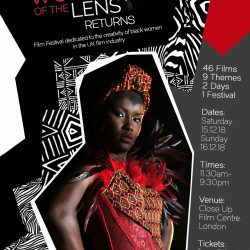 We’re featuring 46 films this year and a personal look behind these productions is a good insight into some of the reasons why these heart-felt stories come into being. The Sycamore Gap (2018) is set in 1841. It follows an intimate love affair between two women and in loving each other they cross race and class lines. The set pieces are dramatic and the short film makes good use of the location’s beautiful, if haunting, natural landscapes. 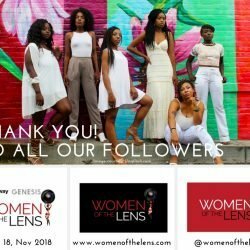 Women Of The Lens got a little closer to Lucy and got talking about awards season and the upcoming 2019 Academy Awards. Who were Lucy’s favourites to bag an Oscar? As part of the extension of the filmmaking process, productions add film festivals to marketing campaigns. Film festivals are a great platform to press-the-flesh with industry professionals and to meet other like-minded people who can often support your next project. Lucy told us about what she thought was the importance of film festivals in the filmmaking process. It goes without saying that micro-budget films are ingenious when balancing what budgets they do have with creativity and bringing to screen believable stores. The Sycamore Gap was no less inventive with limited funding. 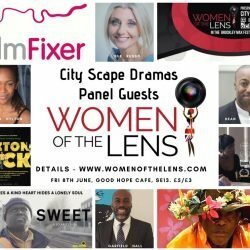 At Women Of The Lens we welcome all those who are consistently seeking to change the imbalances of race, gender and ability in the industry and we have men in our sights to enable change. Lucy informed us why she thought that it was essential that men were allies in a way that supports the development of diversity in front of and behind the lens. The Sycamore Gap screens Saturday 15th December from 6.45pm as part of the Breaking Bonds Theme. The Close Up Film Centre is our venue.